Accurate diagnosis of pigmented lesions is mandatory before laser treatment. 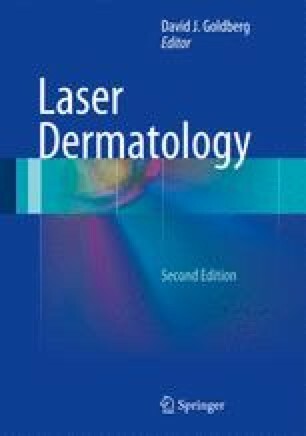 For some pigmented lesions, laser treatment may even be the only treatment option. Tattoos respond well to Q-switched lasers. Amateur and traumatic tattoos respond more readily to treatment than do professional tattoos. Cosmetic tattoos should be approached with caution. Treatment of melanocytic nevi remains controversial, but worth pursuing.